For those who haven't familiar with this program. 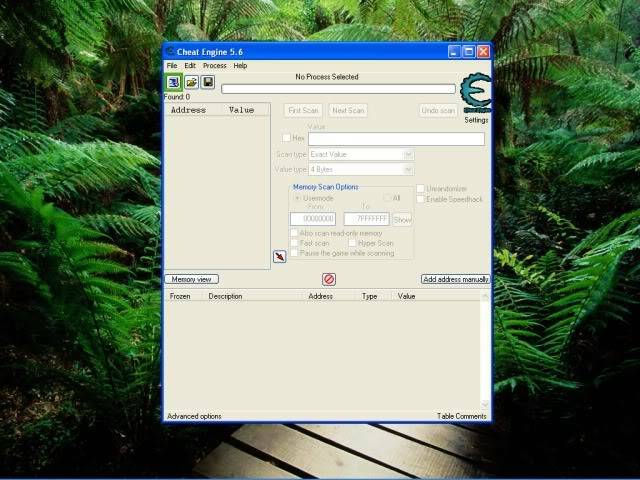 Cheat Engine is a program that searches for values input by the user with a wide variety of options that allow the user to find and sort through the memory database. Cheat Engine can also create standalone trainers that can operate independently of Cheat Engine. 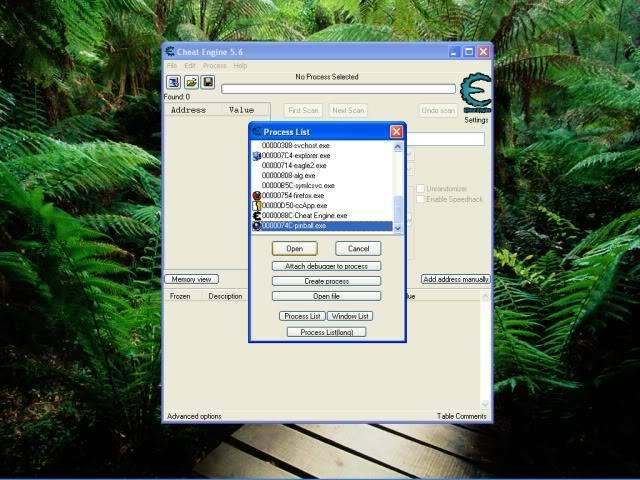 Cheat Engine can view the disassembled memory of a process and make alterations to give the user advantages such as infinite health, time or ammunition. It also has some Direct3D and OpenGL manipulation tools, allowing you to see through walls, zoom in/out and with some advanced configuration allows Cheat Engine to move the mouse for you to get a certain texture into the center of the screen. This is commonly used to create aimbots. You are now very familiar with it so let's get started. For beginners it is better for you to use 3D Pinball game for educational purposes. Why 3D Pinball? Because 3D Pinball game's score board is running in a 4 Bytes Memory so you can easily determine which of the following address is the accurate one to change your score. Quiet complicated? Don't worry you will see it later. So open up 3D Pinball game. After that, make a score. Just make a score whatever it is. You don't need to play for so long. 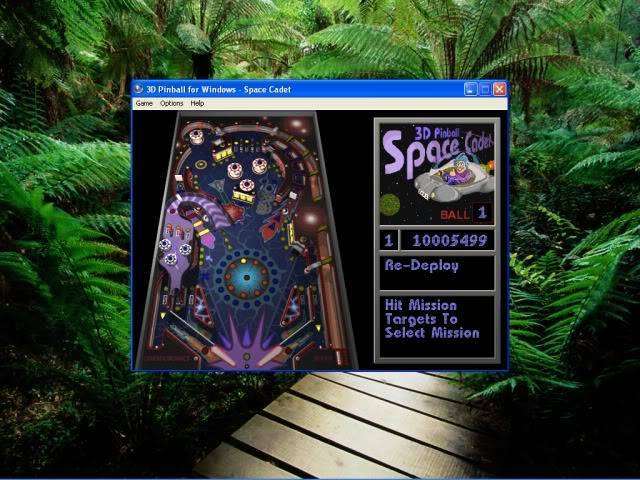 Go back to Cheat Engine and click the small icon at the upper left side of the Cheat Engine and choose "pinball.exe" as you have seen in the picture above. After that, type your score in the text box. (Whatever is your score may do.) Then tick scan. As you can see in the picture, there are two codes at the left side of the Cheat Engine. Those codes are called Address. Now put those two Address in work table. You can do this by ticking the small red arrow beside the address box. Now you may change the value of the two address by selecting both of them and right click then Change Record > Value. Change it's value to whatever you want. And that's it! Congratulations you can now use the Cheat Engine. If you succeed your score should be like this or higher.